This adorable dress is your new best friend for date night or afternoon parties! We love the crocheted bodice with floral details, low cut back, and v-neckline. 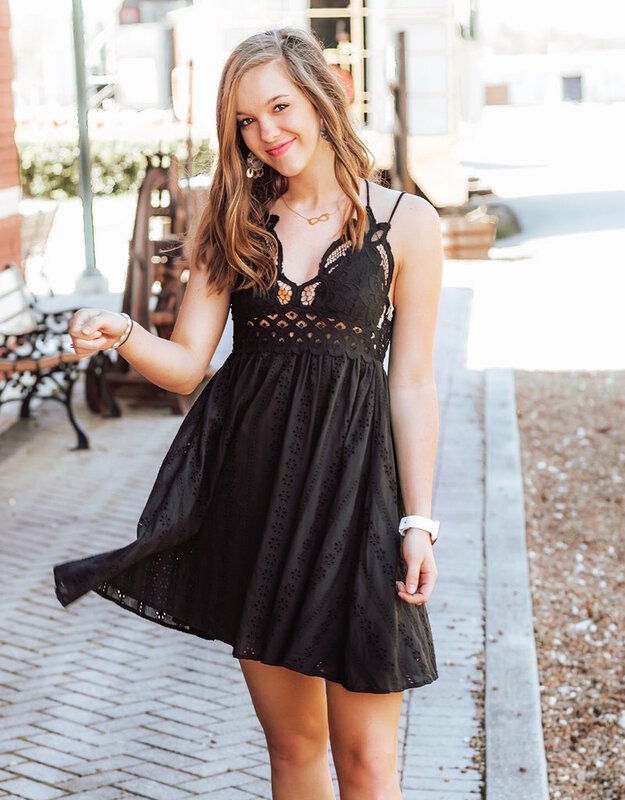 It's such a flirty and fun style for any spring occasion!